The first IPL without the charismatic Lalit Modi and with many changes in the various teams, promises to be a cracker of a tournament. Also this will be the first time that the league will feature 10 teams with the inclusion of Pune Warriors and Kochi Tuskers Kerala. What worries the public though is the probability that the players may be tired due to the recently concluded ICC Cricket World Championship. It’s less than a week after the World Cup finals and India’s historic victory led by the unflappable Mahendra Singh Dhoni and supported by Gautam Gambhir! Those two will again be in action, this time not as allies, but as rival captains, in what looks destined to be a classic case of ‘friends turning into foes’. 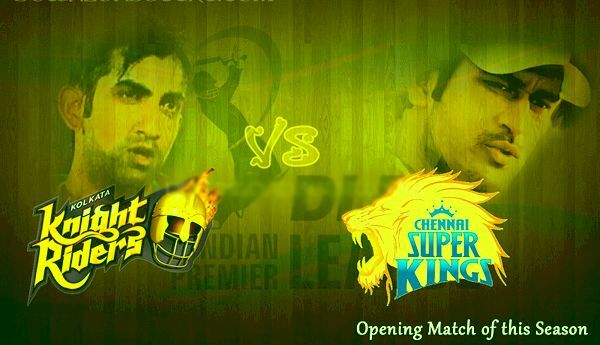 The defending champions Chennai Super Kings are likely to be the favourites as they have been able to retain most of their origin team members, though after the disastrous outcomes of the previous three editions of the IPL, the Kolkatta Knight Riders, this time have a lot of new faces, which may make them strong outsiders! After having failed to make it past the preliminary stages during the last three editions, the KKR management has gone for a revamped side with Gautam Gambhir at the helm and T20 specialist Yusuf Pathan as one of the marquee players. It would be interesting to see how Yusuf Pathan goes in this season, especially since, he did not get many chances in the recently concluded world cup! It will be a mouth watering and exciting contest between two good teams especially two good Players namely Captain cool MS Dhoni and Gautam Gambhir. Chennai Super Kings: One problem for CSK is their bowling strength because both premium swing bowlers Bollinger and Hilfenhaus are out due to injuries. The young Fast bowler from Newzealand Tim Southee is expected to be the replacement. Kolkata Knight Riders: Gautam Gambir who finished as the expensive player in the Auction is a bit of a surprise and they also have the lights of the best T20 player who can take any bowlers to the cleaners Yusuf pathan and also have the best all-rounder Kallis in the line up who is expected to open the batting along with the captain. Who will win and why write your comments below thanks in Advance..and just ‘Like’ it..!! !